Dine in style with this beautiful Conway Light Grey Dining Table. 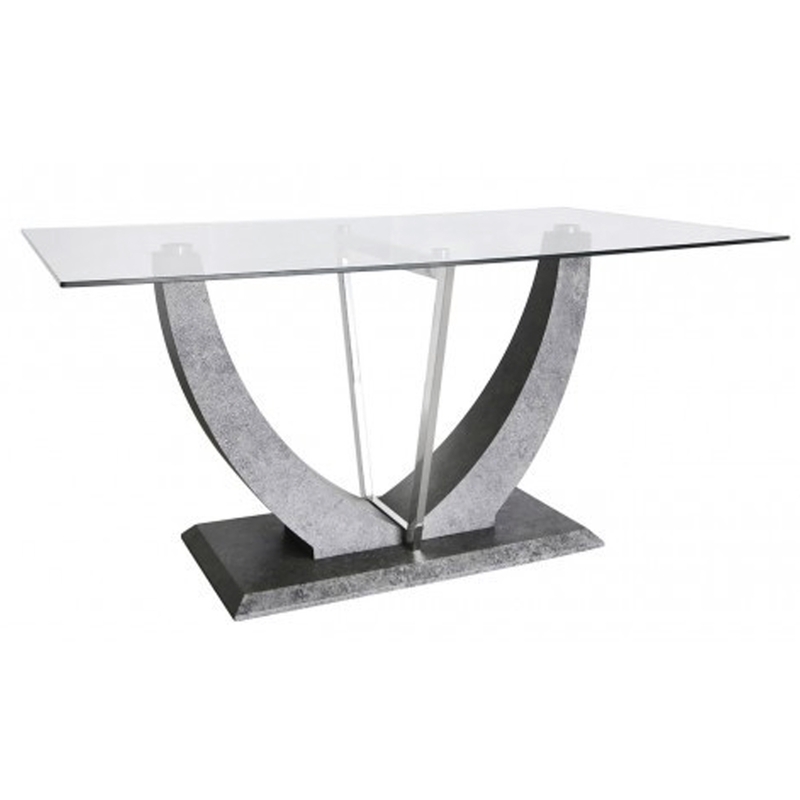 With a curved grey base this amazing dining table gives off a modern feel and will bring your dining room to life. All topped off with a clear glass table top this is the perfect option to add to your home.